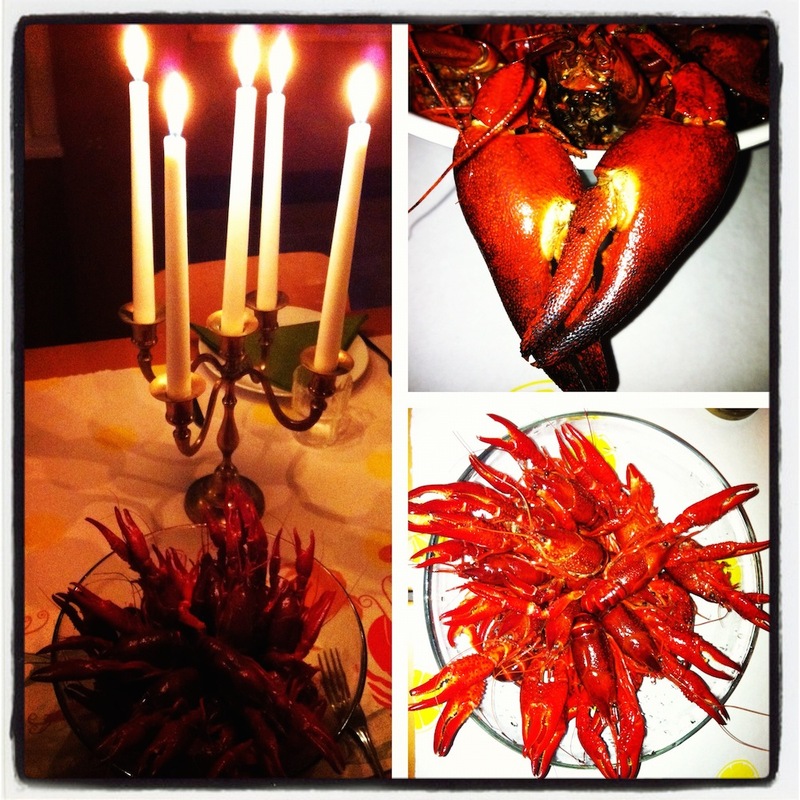 In August we Swedes welcome the the Crayfish premiere. Early in the morning you set out in your boat to fish up the crayfish from Fyke nets. They are black as the night and crawling around in the basket. Once at home you prepare a big saucepan with water, salt and dill. By boiling the crayfishes they get the distinctive red colour. To accompany the crayfish for supper you make the classic and fantastic cheese pie with Västerbottenost. Toasted bread, salad and sauces in various kinds is prepared for the evening. Of course the schnapps and local beer is put on cold. In the evening lanterns in all of the colours of the rainbow is set up around the table. 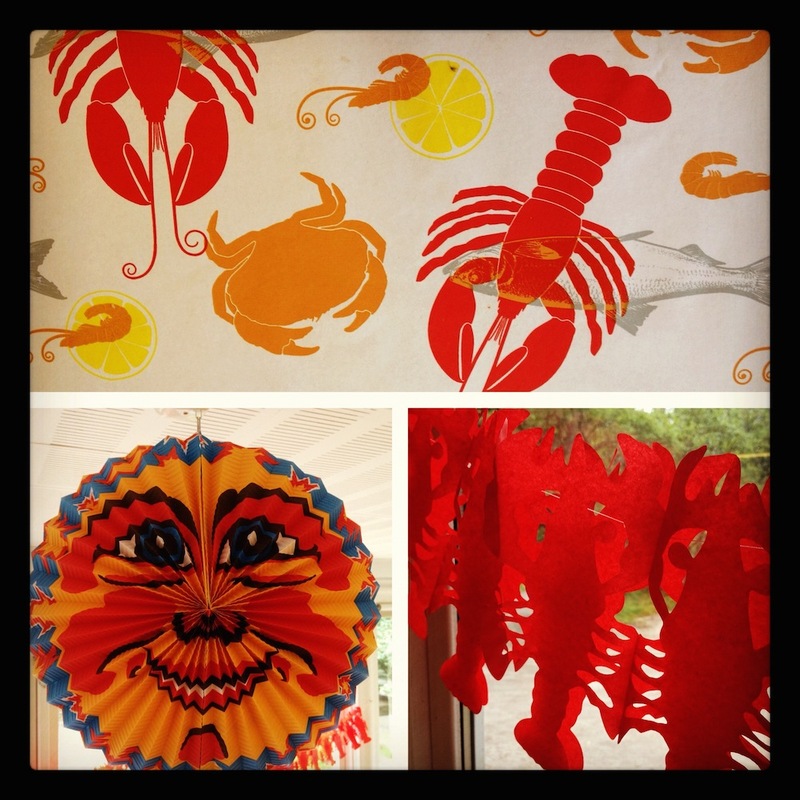 The cloth, bibs and napkins as well as hats have the special pattern with a full moon and crayfishes. Every schnapps taken during the evening is preceded by a song and a ”SKÅL”.